The makers behind a new addressable TV solution bringing owned and third-party data to TVC media buying say the tool will finally give marketers the ability to target broadcast audiences as granularly as they do in other digital channels. Finecast is a new global business unit launched by media agency, GroupM, which sits under the wider WPP umbrella. First developed and launched in the UK a year ago, the business has made Australia is its second launch location and officially took the wrappers off local operations today. Finecast has developed an addressable TV planning tool using a wealth of third-party household and lifestyle data from partnerships with Experian, RDA Research, the Australian Bureau of Statistics Census, GeoEmma, Nielsen, as well as proprietary insights from GroupM’s M platform. This information can then be overlaid across data at the broadcaster’s end, as well as supplemented by an advertiser’s first-party data sets. To do this, the business has confirmed agreements with local premium broadcasters including Seven, Nine, Ted, SBS and Foxtel via the Multi Channel Network. Finecast has also been working to ensure the planning tool interacts with the 30+ array of broadcast distribution devices, from set-top boxes to smart TVs. 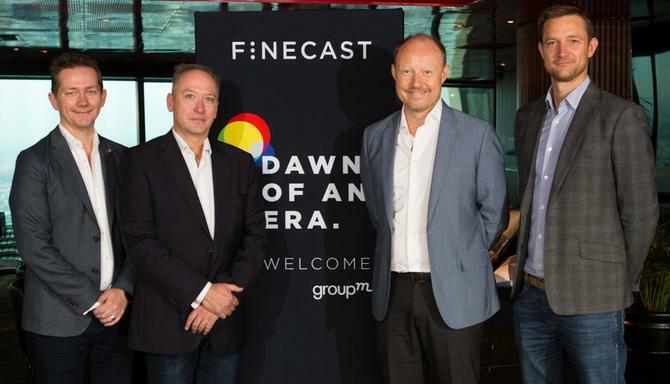 At a press launch in Sydney, Finecast global CEO, Jakob Nielsen, said the motivation for Finecast came from rapidly changing and highly fragmented TV viewership, and the increasingly complex ecosystem now existing around ‘broadcasted’ content. “We started Finecast to be able to offer clients fantastic ads using data around professionally produced content on many devices. It sounds like a simple solution, but when you get to it, it’s very different,” he said. Today’s consumers have nearly unlimited content choices thanks to new streaming players such as Netflix and Amazon, as well as the ability to record and play content later, Nielsen continued. Nielsen claimed Finecast’s focus on professionally produced content and the rigour around data and technology would ensure TVC advertising appears in brand-safe environments and help brands avoid growing digital reputation issues such as fake news. An example of a client working with Finecast UK is Coca-Cola, who saw addressable TV as a way to extend reach to consumers who have shifted away from linear TV, Nielsen said. According to the UK’s Broadcasters Audience Reach Board, there’s been a 22 per cent decline in the last two years in 16-34 year olds watching live TV. Another client base for Finecast are car dealerships, who have previously been unable to use TV as a platform for their physical locations due to cost and limited targeting ability. Former GroupM VP of media activation, Brett Poole, has been appointed Finecast Australia’s managing director. During the press launch, Poole proclaimed the TV industry at a tipping point and highlighted figures from global research firm, IHS Markit, which projects 14 million addressable TV devices will be in Australian homes by 2020. In addition, multi-platform viewership is on the rise. In response, Finecast is designed to better target TV in four ways, Poole said. The first is planning, and being able to better harness household data and their own insights to target TV audiences. Finecast claims to have 1200 data variables available to advertisers to create specific segments by audience type, socio-economic behaviour, hyper-local targeting and more. This could be for hyper-targeting using first-party assets, reach, response and specific audience segments below TV metro level, Poole said. Finecast has also put the emphasis on premium quality broadcasters, a move Poole said will give brands the assurance their advertising will only appear in brand-safe environments while tapping into all forms of inventory. Activation is undertaken via the Finecast data store. From a creative standpoint, the new planning tool aims to help advertisers more easily tweak creative against distinct variables, and employ different tactics depending on audience segment, Poole said. Finally, Finecast hopes the tool will provide addressable TV measurement and evaluation not previously available to advertisers. “Addressable TV falls between the cracks of OzTam and digital measurements systems such as those from Nielsen,” Poole said. Finecast is working with agencies on econometrics modelling and sales lift, a combined audience measurement with Oztam, and is also crafting brand effectiveness studies for TV. The latter have been trialled over 50 times successfully by the UK team using specific audience panels and cover the full spectrum of brand awareness measures, Poole said. “There are no real reporting structures for addressable TV so we’ve started looking at different ways to produce post-campaign reports so you can see where your ads have landed,” he added. Commenting on the impact for CMOs, GroupM CEO, Mark Lollbank, said marketers are looking to increase media efficiency while also maintaining mass brand awareness and long-term brand health. It’s also about GroupM working more jointly with clients on a solution that works for them, Lollbank said. “This is not just about a paper brief you react to and go, it's about a conversation with clients on what they really want to achieve. "And we'll try things. At the end of the day this is a new bike. We're going to ride it and fall off, hit a pothole, we'll learn stuff and we'll do stuff well, and based on those learnings, we'll get better." Lollbank and Nielsen agreed one of the downsides to the rise of digital has been short-terminism and a belief that all advertising has an immediate, direct sales result. What addressable TV will do is enable TV to go further down the funnel, but it didn't stop the need for more strategic brand building, too. "As we get smarter in the way we do advertising, there's a lot of responsibility back on the marketing community and the CMO, to make sure they're also researching things properly," Lollbank continued. For example, marketers will need to change the way they measure, Lollbank said, and get much deeper insight around how advertising is changing brand perceptions. Nielsen believed brands globally are starting to realise short-term media buying isn't going to grow the tree. "Particularly FMCG brands are waking up to this - our friends at Amazon are starting to have their own brands and they control the store window. If you have no long-term brand building about your products being sold by Amazon, you have a problem." Nine Entertainment chief sales officer, Michael Stephenson, saw addressable TV as a game-changer for the industry. “It brings together the best of television and digital, helping to create people-based marketing solutions that link brand building together with activation and conversion,” he said.